In a unique work for Yoga teachers, health care professionals, and advanced practitioners, Rachel Krentzman PT, ERYT, offers a framework for using Yoga therapeutically to heal back pain and spinal conditions. By combining clear and detailed instruction on evaluation and treatment approaches with a personal narrative including case studies, YOGA FOR A HAPPY BACK, bridges the gap between the practice of Yoga for better physical health and the deeper journey towards self awareness and self actualization. YOGA FOR A HAPPY BACK comes at a crucial time when Yoga Therapy is becoming recognized as an effective treatment modality and a viable profession. Yoga teachers are seeking more advanced training in order to be able to work with special populations and individuals with injuries. In addition, physicians and health care professionals are looking towards Yoga to help their patients with various conditions including chronic pain and orthopedic dysfunctions. YOGA FOR A HAPPY BACK provides knowledge, insight and training to this market, which has never been served in this way. 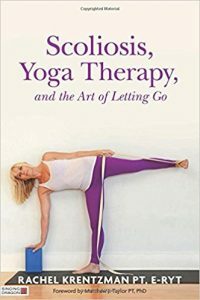 By combining her own experience of scoliosis and a debilitating back injury with her expertise as a physical therapist and Yoga teacher, Krentzman instructs teachers on how to design Yoga classes for individuals with back pain. She offers never-published sequences from the Purna Yoga™ tradition for specific spinal conditions. Krentzman also provides information on correct sequencing, creating class themes, using the Great Yoga Wall ™ system for spinal traction, and designing effective private Yoga Therapy sessions. 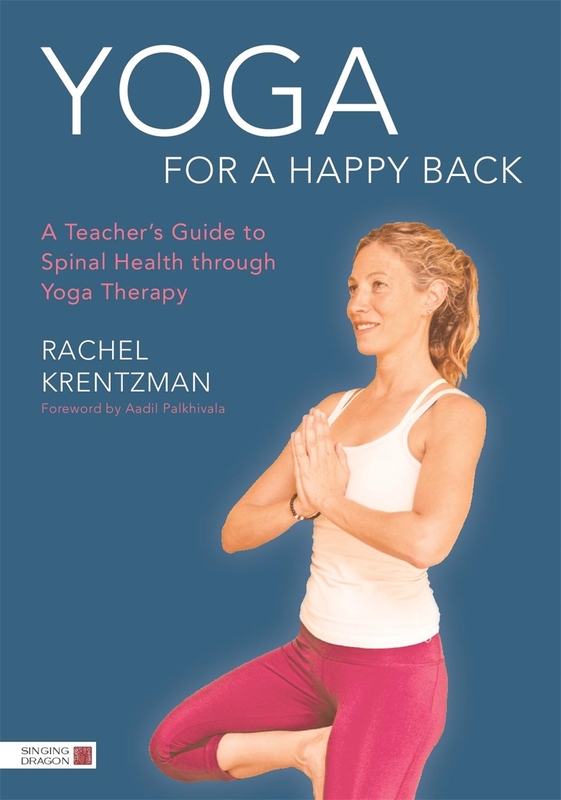 YOGA FOR A HAPPY BACK: A Teacher’s Guide To Spinal Health Through Yoga Therapy is intended to be a an important tool for professional development in the fields of Yoga instruction and Yoga Therapy. Aged 16, Rachel Krentzman was diagnosed with scoliosis. At 32 she suffered a herniated disk and was told she would have to modify her activities for the rest of her life – instead, Rachel is now a walking testimonial for how yoga can be used therapeutically to heal your back pain. An easy and straightforward read, this manual contains step by step illustrated instruction for you to address the physical and emotional factors of your scoliosis. The exercises are easy to follow and perform, and no technical knowledge or prior experience of yoga is required. Foundational anatomy is carefully explained so that you can understand your body and your scoliosis before applying the exercises. Exemplary case studies will help you on the path to alleviating your back pain without surgery.